Using 280 characters or less, we preview the upcoming season – which is just a month away – for the top 10 men and women in the game. Need a preview of season 2019 but short on time? We’ve got you covered. 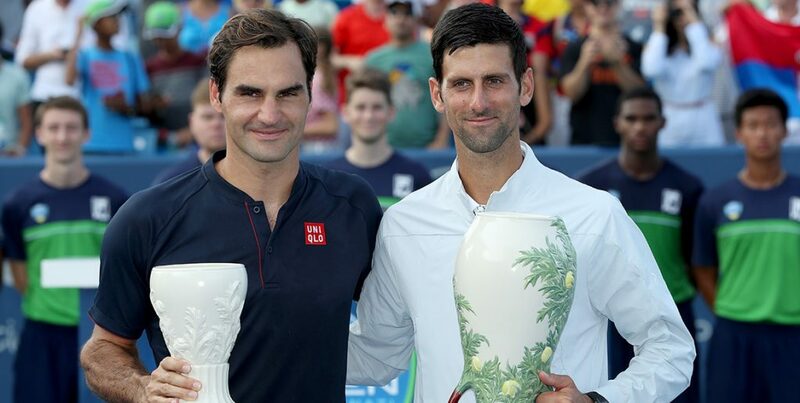 With Roger and Rafa another year older, and the younger pups still learning what it takes, Nole is PRIMED for a monster year in 2019. Anything less than another two majors and year-end No.1 may be considered disappointing. Me: but he can catch Roger? Two things matter for RF in 2019: 1) Getting to 100 career ATP titles and 2) Praying Novak and Rafa don’t win any more Grand Slams. The dude’s won 20 Grand Slams and still has two guys who are nipping at his heels. That must be incredibly frustrating. Masters 1000 tophies, top-five ranking and ATP Finals champion – the German’s career trajectory has been perfect so far. He just really, really, really needs to start showing up at Slams. Can he stay healthy? If yes, he’s a threat to win any major and finish top three. If no, his career might be over. Peaking in his 30s, he reached the US Open final in 2017 and the Wimbledon final in 2018. This year he also debuted at the ATP Finals and cracked the top five. With such steady progress and commitment to improving, he could better that in 2019. A very consistent player; since 2014 Cilic has only once finished outside the top 10. Expect him to win a couple of titles, lose to one of the Big Three at a Slam and finish anywhere from No.5-No.8. 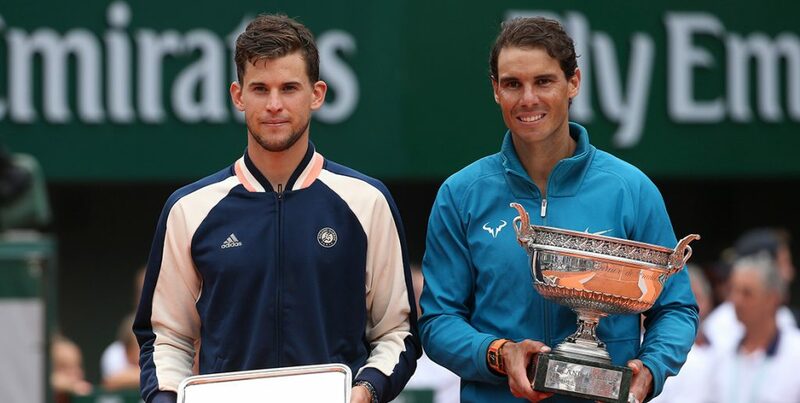 Thiem is like a vulture waiting for the lion that is Rafael Nadal to finish gorging on the carcass that is the French Open. Was that a little too graphic? Perhaps, but you get the picture. At 28, Nishikori is one of the few inside the top 10 that is more likely to improve on his 2018 season. A genuine smokey to win a Grand Slam. Whether it’s Dimitrov or Goffin having a comeback year, or a ‘Next Gen’ guy taking the leap, don’t be surprised if Isner drops outside the top 10 next year after a career-best season in 2018. FEATURE: who’s going to be the next new Grand Slam champ? Halep is at the moment the best female tennis player alive and at 27, there’s no reason she won’t continue to thrive in 2019. The main hurdles she’ll need to clear is the absence of coach Darren Cahill and her back injury. Was 2018 her last elite season? At 30-years-old, considering the wear and tear she puts on her body every match, a decline has to be coming — even if she still competes with the trademark fighting spirit. After a career year, Wozniacki revealed she was diagnosed with rheumatoid arthritis in August. Everyone will be watching to see if/how much she struggles with that going forward. Svitolina was borderline cratering before she found some magic in Singapore. Surely she uses that momentum to go deep at an Australian Open tournament that is just as wide open as last year’s. Not just one of the biggest stars in Japan but slowly becoming everyone’s favourite young new star. How will she manage the expectations of thousands of fans around the world? 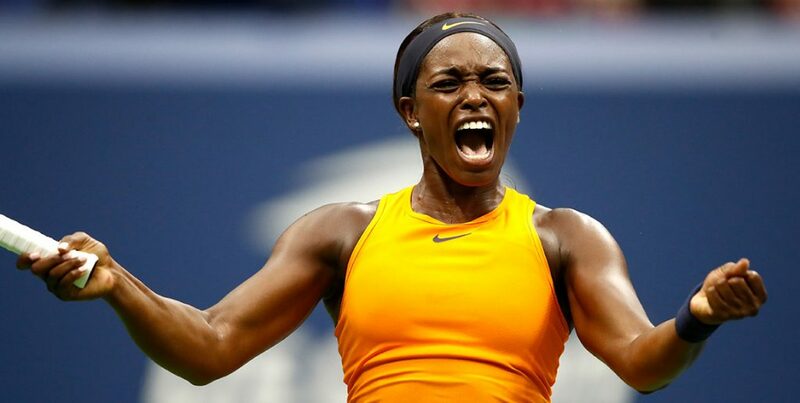 Sloane is the biggest ‘Flip The Switch’ player on tour: when she wants to, at any moment, she can just turn it on and be the best player on the court. The trick is staying motivated. Won the most titles of any player on tour in 2018 and looks keen to build on that next year. No reason why she can’t. The Marin Cilic of the WTA: very good, super consistent, loveable and a power player who struggles with defensive baseliners. See Isner, John in our ATP preview. Just swap the words ‘Dimitrov or Goffin’ to ‘Muguruza or Williams’. A huge candidate to break through at a Grand Slam à la Ostapenko in 2017 or Osaka this year. Watch this space: DashKa is going places.